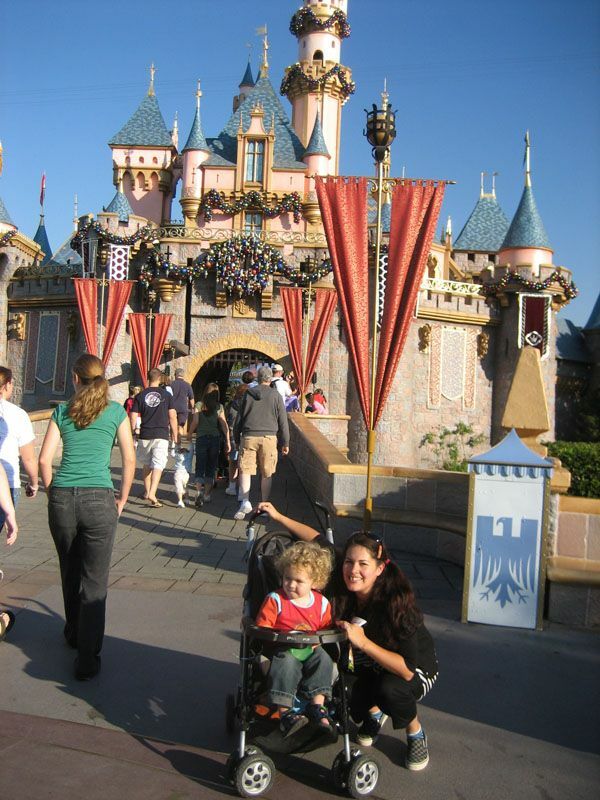 Modern Kiddo Goes to Disneyland :: Travel Tips for the Magic Kingdom. Friends, I love Disneyland. I think going there is a totally AWESOME experience. 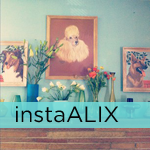 I love it because it’s colorful, fun and best of all CREATIVE! I find most amusement parks these days rely on cheap thrills and scream rides. The minute you walk through the front gates of Disneyland you can tell you are somewhere special. SO MUCH thought was put into all the rides at Disneyland. If you love the movies, you’ll love Disneyland. 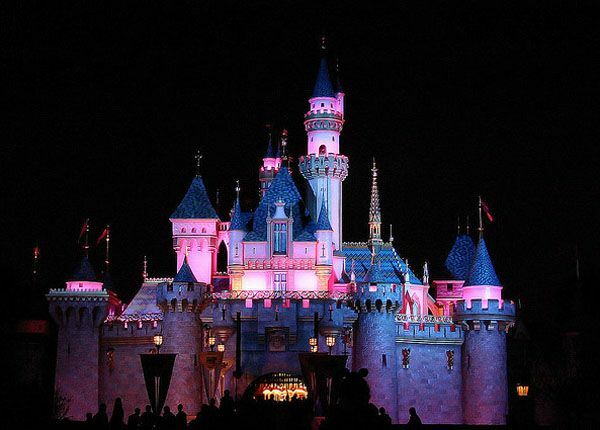 If you are a child at heart, you will adore Disneyland. 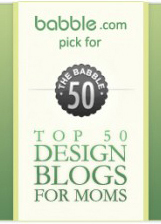 If you are into design, you’ll appreciate the level of concept and detail (the type faces! the architecture! even the trash cans and bathrooms are “themed” to match the different “lands”!). And if you have a child? It can be utterly magical. I also love that Disneyland is a very clean park. There is never any trash on the ground, sticky bubble gum or popcorn spills. In fact, they don’t even sell chewing gum because they want to avoid people stepping in a gooey mess. They work hard to create the mood of “happiest place on earth” and it shows. 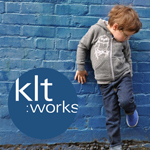 Of course, the reality is that going there with kiddos can be overwhelming. It’s a theme park and that means you’ll have moments of stress and frustration and potential melt downs. 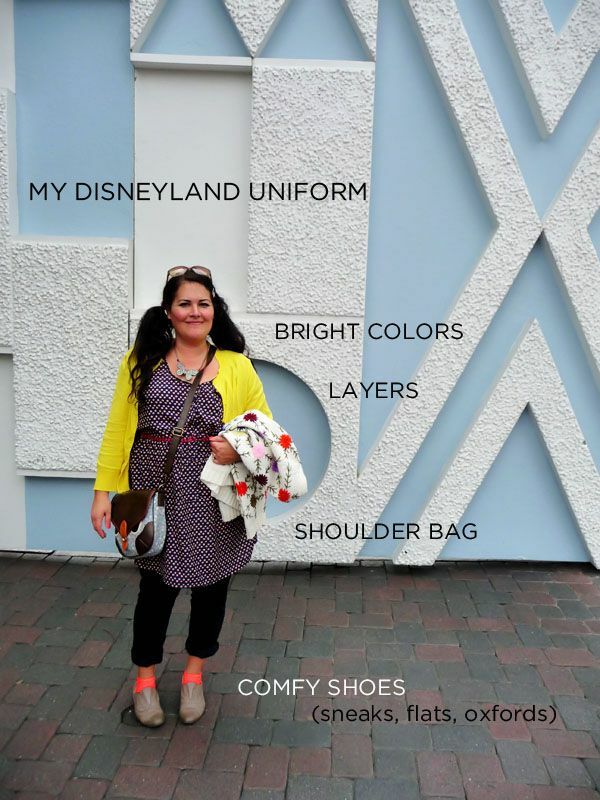 Here are some of my tips for navigating your way around the park! 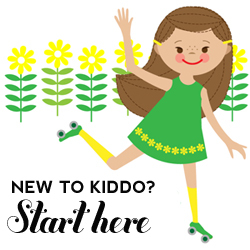 I’ll be following it up with a Guide to Rides for Kiddos soon. OK, on to some tips. First up? Logistics! 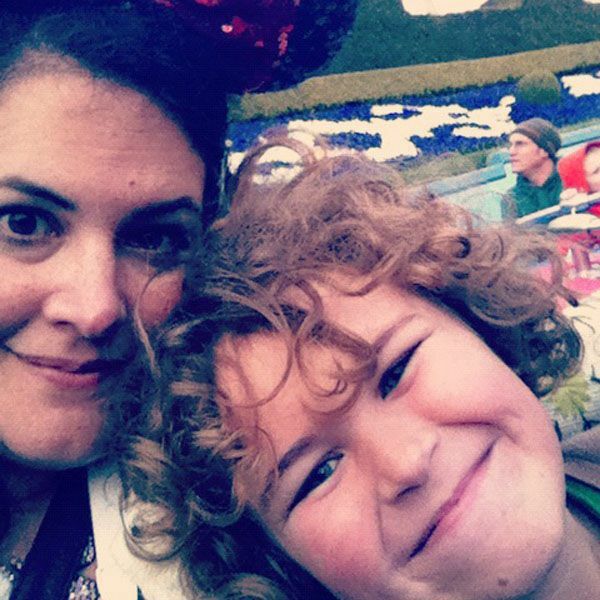 HOW YOUNG IS TOO YOUNG FOR DISNEYLAND? It all depends on your child—their demeanor and your patience. 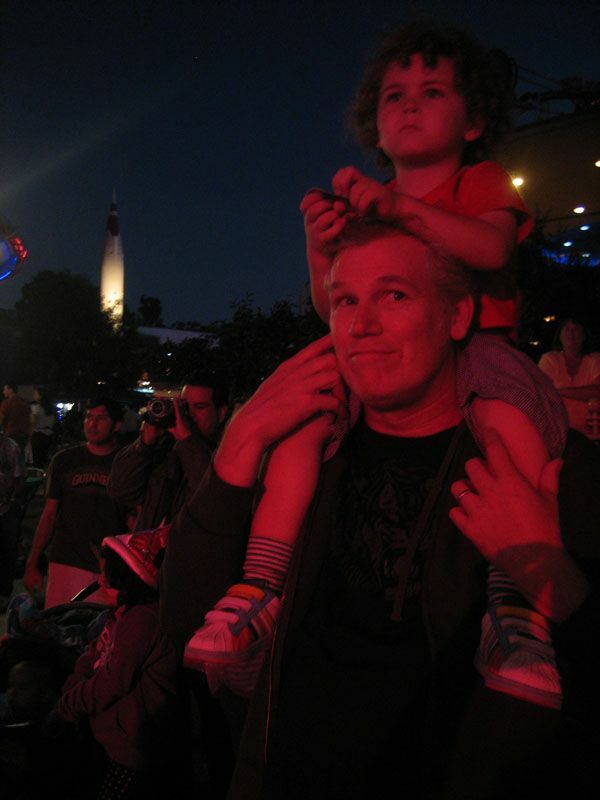 For younger children (especially the 2-5 year old set), Disneyland can really be an extremely magical experience. They won’t have the stamina of an older child, but seeing this fantasty world through their eyes is pretty priceless. Wolfie was just under two his first visit and I remember him being SO in awe of all the lights, colors and characters—really believing that it truly WAS Mickey Mouse and Goofy that he saw! If your child loves trains they’ll be in heaven. Every cart looks like a choo choo, not to mention the numerous REAL trains you can ride. They will love the experience. Be sure to factor in timing (eg going in the summer when lines are long and the sun is HOT can be tough with a little one). OH, and children under three? They visit FREE. This all depends on your budget and personal preference. You can totally have fun in one day, but you definitely won’t see it all. A 2-Day Pass is ideal. You won’t feel as rushed and the pressure to do and see it all is greatly reduced. A 3-Day Park Hopper pass is more of a splurge but totally fantastic! If you can swing it, I say go for 2-days. You’re already spending money, might as well go for it! Everyone wants a little slice of The Happiest Place on Earth, so honestly it’s pretty much always packed. That being said, there are times when it is a little less crazy. January and Early February are traditionally less crowded (I’m guessing since everyone has just spent money during the holidays!). Also the fall, mid-September and the weeks between Thanksgiving and Christmas (which is also fun because the park undergoes a transformation for Christmas with lots of lights etc). Among the most crowded times are “Spring Break” (Mid March-thru April), all of Summer, holidays like Presidents Day, Thanksgiving, Christmas/New Years (for a more in depth list, check out here). The upside to the busier times? The park stays open until midnight. Also, avoid weekends if you can. The crowds are always thicker Saturdays-Sundays. I personally think it’s a great idea to stay as close to the hotel as possible! You’ll avoid the parking lot and can easily go back to your hotel when needed. If you are ready to splurge, the Disneyland Resort Hotels (the Disneyland Hotel, Paradise Pier, and the Grand Californian) are pretty fabulous and are all a quick walk to the entrance gates.We haven’t stayed there in years, but I remember how special it felt to board the monorail right from my hotel. In more recent times we chose to stay at hotels that are walking distance from the park. If you aren’t splurging on the Disney Resort, then I say go for the cheapest (but safest/cleanest) hotel. You will hardly be spending any time there, so no need to spend extra money. We stayed at the Best Western Anaheim. It was nothing fancy but we could literally walk across the street to Disneyland. Priceless! And we were only in the hotel just for a nap time and to spend the night and it was perfectly fine. Some good ones that are walking distance to the Park: Howard Johnson Anaheim, Candy Cane Inn (cutest name! ), the Del Sol Inn (no frills but super close). You can find a full list of hotels close to the park here. MousePlanet is an amazing resource and has tons of good info on ticket discounts and park updates. 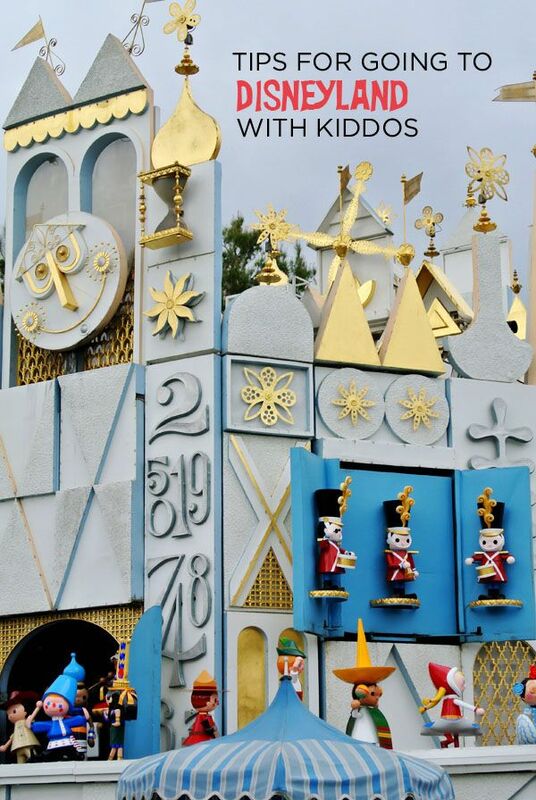 I always check their “Ride Refurbishment/Closure” list, so we won’t have any nasty disappointments when arriving at the park (for example, It’s a Small World was closed a few years back for refurbishing and while we were bummed, it was helpful knowing in advance). Check them out here! I think it also pays to familiarize yourself with the park in general, especially if you’ve never been. 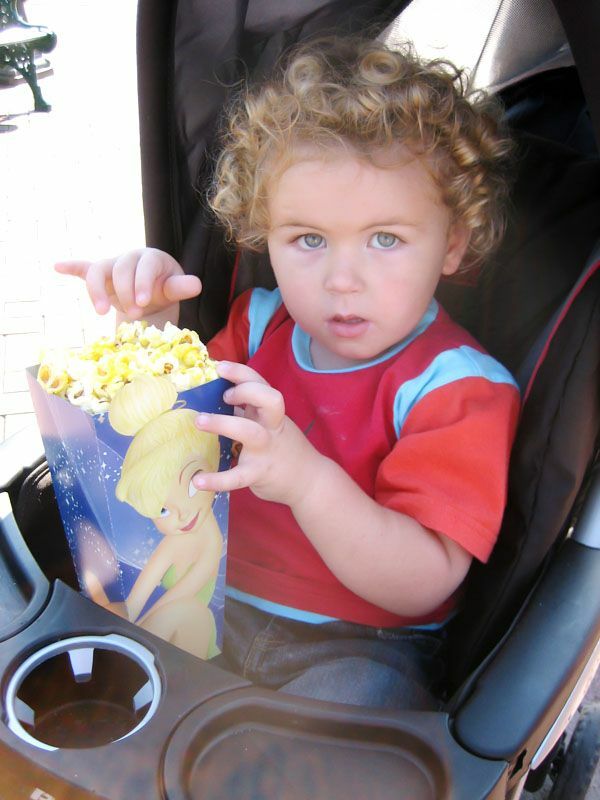 Most of the rides can be viewed on YouTube, which can be a good way to check out a ride if you are unsure whether your little one will like it. If you are visiting in the summer, remember Anaheim can get pretty darn hot. Like 90s. Be sure to bring sunscreen and apply a chapstick or lippy with SPF. I would pick up some of those fan/water mister combos to keep everyone cool while waiting in line. There are several rides that are air conditioned, so if you are wilting, head for them (we’ll get into those specifics in RIDES OF DISNEYLAND later on!). Top clothing rule? Make sure you (and your kiddos) all wear comfortable shoes! You’ll be doing SO MUCH standing and walking around. You can still look cute, but trust me, don’t sacrifice for comfort. The park can get cooler at night, so dress in layers. If you go during the warmer months, bring a hat (or you can always buy a fun hat there). For the ladies, I recommend bringing a small/medium cross-body bag (as opposed to a handbag/purse) where you can store your wallet/camera/phone etc. You’ll want to be “hands free” while walking around. An easy-access front or side pocket (that snaps/zips shut) is best for quickly grabbing your camera/phone and snapping photos. Plus you’ll be able to grab to your Tickets and Fast Passes quickly. I think technically you aren’t supposed to bring outside food into the park, but stuff for little kiddies is usually OK—and will save you some money. Think easy snacks like goldfish/pretzels/graham crackers/peanut butter crackers/popcorn/apple slices/bagels/sandwiches etc. Don’t forget bottles of water and of course a sippy cup. Like most amusement parks, the food can be pricey….but I have to say you get over it and it’s fun to get a mickey-shaped ice cream bar or mickey pretzel when you’re “in the moment.” It’s also definitely worth it to sit down for lunch or dinner at one of the restaurants at least once just to relax. It’s not that much more than the food stands and it’ll be air-conditioned and a great break from the hub bub. We have never done this, but I hear the “Character Meals” (where you eat at the restaurants and get an appearance from several Disney Characters) are supposed to be really fun for kids. Read more here. 1. BE AN EARLY BIRD! To avoid the longer lines, I highly recommend trying to get there as early as possible. When the park first opens is ideal. Disneyland opens at 8am during the summer and is typically least crowded from opening until about 11:30am or so. 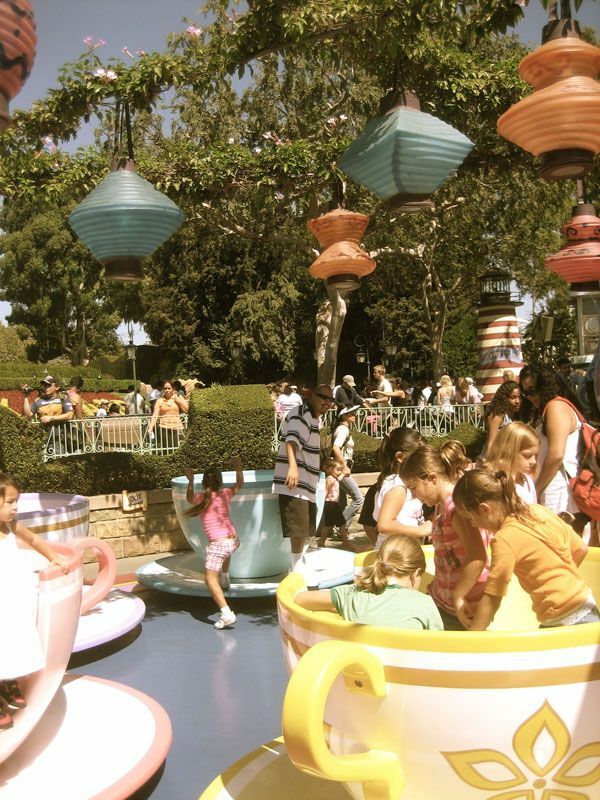 Use that time to hit the most popular rides (like Toon Town, Peter Pan or It’s a Small World…if you have bigger kids or are traveling alone, hit Space Mountain or Indiana Jones etc). 2. GET THE iPHONE APP! 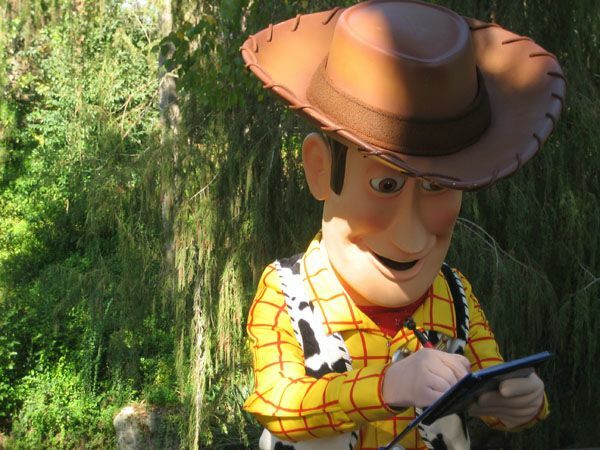 Technology has come to Disneyland in a big way, with iPhone/Android apps. We used MouseWait when we went and it was awesome. It’s a FREE app for smart phones that shows Disneyland line wait times. The times are, of course, approximate, but it’s pretty spot on! Get yours here. 3. BRING (or RENT) A STROLLER. I *highly* recommend bringing a stroller or renting one from the park. Not just for tired little feet, but also because you can use it as a portable locker to schlep yer stuff around. Wolfie is obviously too big for a stroller and MAN I miss it! You’ll notice that there is informal “stroller parking” all around the park (you’ll see rows of strollers outside of rides). People are pretty cool and your stroller is relatively safe. Obviously don’t leave a sack of cash or your camera…but we’ve always left our jackets/hoodies, snacks, water bottles etc in the bottom basket and it’s been fine! (We’ve even left it in a spot for an hour or so and ran back to get with no problem—not that I recommend doing this!) If you have a pretty common/popular stroller style, tie a ribbon or scarf or other identifiable marker around the handle so you can easily spot it in a crowd. 4. MASTER THE FAST PASS. These are not available on all rides, but for select (popular) rides, Disney offers a FASTPASS—and these are GREAT. You’ll notice what looks like little ATM machines near these rides. You insert your ticket and it spits out a FASTPASS that shows you the time you can come back and hop into the FASTPASS line—which is always much shorter than the regular line. It’s an awesome way to cut your wait time down significantly! Keep in mind, you can only get one FASTPASS at a time, but as soon as the window on your ticket expires, you can collect another FASTPASS. You usually have about 15 minutes or so past the window listed on your ticket to ride the ride. This is also called the PARENT PASS or RIDER SWITCH PASS and can be great for parents who want to ride on the more adult/scarier rides but their younger child doesn’t want to. Your whole family stands in line for the ride. When you get to the front of the ride, one parent (with or without an older child) climbs on board the ride. The remaining parent gets a Stroller Pass and waits to the side with the younger child. 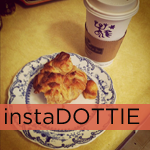 (A good time to pull out a little treat for your patiently waiting tot!) When your family is done riding, you turn in your pass and the remaining parent gets to go straight on the ride (without having to wait in line AGAIN). Pretty great! Folks with one small child can consider this option as a way for mom or dad to get a chance to ride something other than Dumbo and Small World! 6. GET COLORFUL + STICK TOGETHER. No matter how much you plan, things never go quite as expected. Try to keep a positive attitude and set your expectations to “go with the flow”. You might end up going on It’s a Small World or Buzz Lightyear Astro Blasters SIX TIMES (when you secretly are dying to hop on Pirates of the Carribean…sigh). 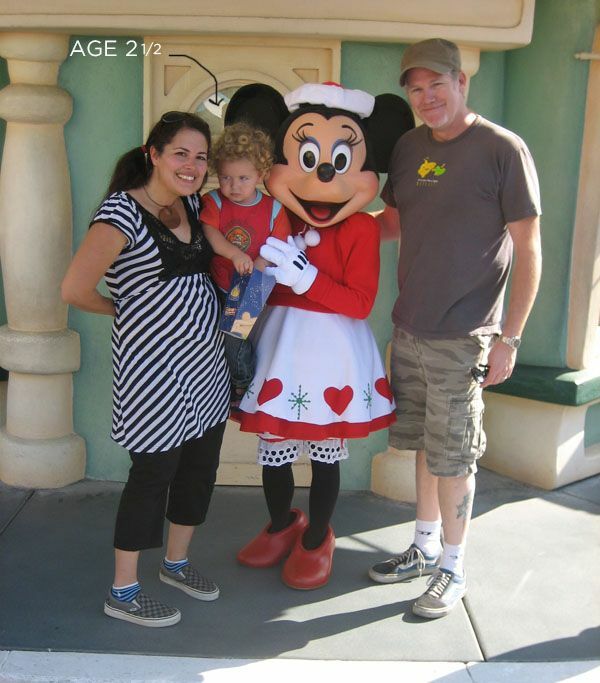 Or that fantasy you have of getting the perfect photo with Mickey might go awry when your child unexpectedly becomes very nervous about “meeting” characters. (Wolfie was delighted to see them but was verrrry nervous to go up to them! See above.) Try to remember you’re there to have fun and share this day with your kid(s). Be flexible! 8. TAKE A LOAD OFF. My biggest piece of advice for families (and for everyone really) is REMEMBER TO TAKE BREAKS. It sounds silly but it’s so easy to get caught up in the excitement. Even if your child seems like they are TOTALLY happy and excited, they will suddenly crash without their nap time (or if they won’t nap, make sure they get quiet time/down time). You can go in and out of the park (they will stamp your hand but keep that ticket stub!) so don’t be afraid to head to your hotel if you need a break. If your hotel is far away….not to worry. In between Disneyland and California Adventure is something called Downtown Disney. It’s like an outdoor mall….there is a fountain courtyard where different street performers play, and little shops and restaurants. It’s a great place to take a load off. When wolfie was little we made sure we left the park and hit that area just to get a mental break from LINES! RIDES! and all that jazz. Even if the kids seem like they’re doing ok, I still say take a sit down break. We made the mistake of not doing that one time when Wolfie was really little and he had the worlds most colossal melt down! 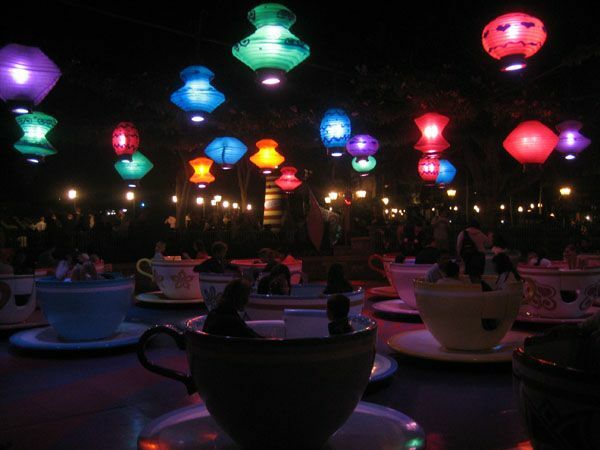 When night time falls, Disneyland transforms into a twinkling, magical wonderland. Consider letting the kiddos stay up late—you’re on vacation after all! Of course make sure everyone gets a good nap earlier in the day, but then let your hair down when the sky gets dark. There are wonderful light displays, all the rides are still running, there is a special evening parade and OMG THE BEST FIREWORKS YOU HAVE EVER SEEN IN YOUR LIFE. Trust me. They are spectacular. Remember that the temperature dips at night, which means bring a sweater or jacket with you. What? Bring souvenirs with you? Yep! The gift shops are loads of fun but can be deadly to the pocket book. If you are on a budget, shop for little Disney trinkets before you get to the park and hand them out when you are in the park. (eg Mickey stickers, little stuffed animals, even Mickey/Minnie/Princess/Buzz Lightyear tee shirts from Target etc.) Your toddlers won’t know the difference! Alas, older kiddos probably won’t be so easily fooled. Also, if your girl is a princess fan, consider bringing a dress/wings or other accoutrements along. It’ll be much cheaper than buying a new one at the park. The Disney Guest Relations desk is near the entrance to each park. 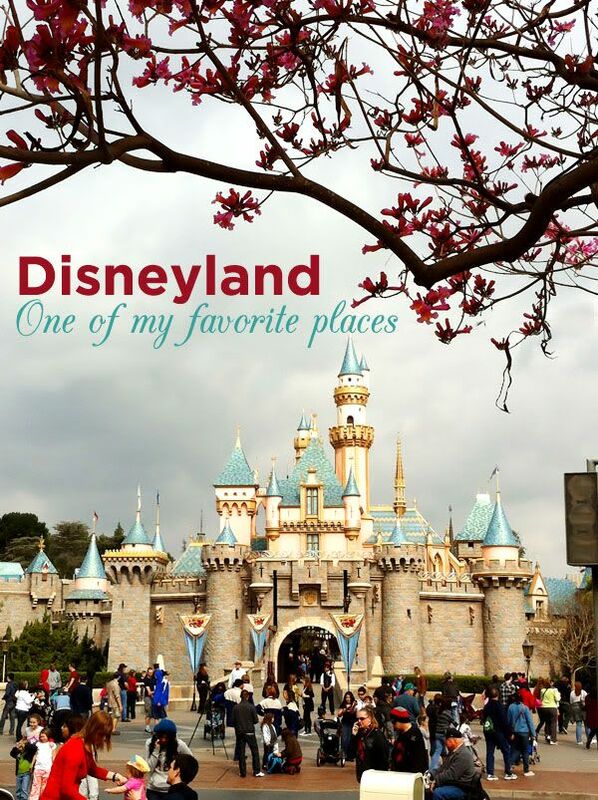 Swing by to pick up a free “My first visit to Disneyland” for your first timer. They also give pins out for Birthday visits. Wear them and you just might get a little special attention from Disney Cast Members (as employees are called!). All the Disney Characters will gladly sign autographs. If you are on a budget, this can be a fun thing to do with the kiddos. They sell autograph books at the park but you can easily bring a little notebook with you to save money. Don’t forget to bring a pen too, or you’ll have to buy a fancy $5-$10 pen at the park! If you need a lil pick me up, the cafe on Main Street USA offers free coffee refills all day long—just keep that receipt! If you have a really young child, take advantage of the Carnation Baby Center. This is a hidden gem if you have any kids under 5. This room just off Main Street has three main sections, lobby/feeding area, nursing/pumping rooms, changing/toilet room. Disney Cast Members are terrific and they honestly want you to have an awesome experience. If you buy a balloon and it pops or is damaged, they will replace it. That new light saber you bought your boy suddenly isn’t lighting up? They will usually replace it. I’ve even heard tell of instances where a little kiddo dropped an ice cream cone and before the tears could even form, a Cast Member was there to offer a replacement, while another was immediately cleaning it up. SWEET! WHEW! So there you have it. Did I forget anything?? Just let me know! And if you have any awesome tips, please add to our list! 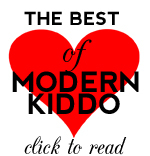 Don’t forget, Part 2, the Kiddo Guide to Rides will be up next! NOTE: This is NOT a sponsored post, just me sharing my info with you! 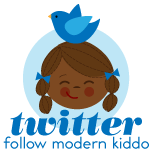 Posted in Disney, Kiddo Fieldtrips, Kiddo Travels. 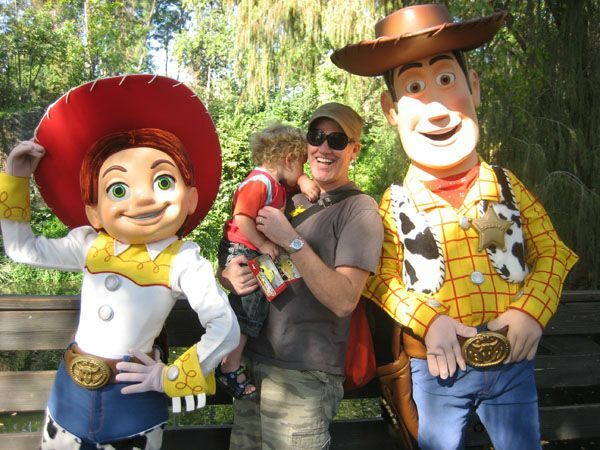 Tagged with Disneyland tips, tips for visiting Disneyland, toddlers at Disneyland, visiting Disneyland with kids. PS little wolfie just melts my heart! 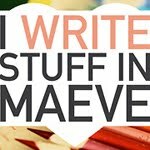 This was by far one of the best lists of tips I’ve ever seen, lady! Seriously! Things I wouldn’t have thought of at all. I would never have thought of bringing little stickers or the free coffee refills. Thank you for this post, lady! You are getting me geared up to go now! Whoohoo!!! Great tips! When we were at DW in January, they told us that they no longer offer the rider/stroller switch. Bummer. We look forward to going to DL in December! Thank you! You nailed it with this post!!! Being flexible is always top on our list with little ones. 🙂 And we too park our stroller for hours at a time on some days. We’re headed there tonight hoping to stay long enough to catch the fireworks. xo! this is just like that list of baby stuff to get/avoid you sent me when i was expecting tru: totally genius! this was so helpful! honest to god, it’s still a few years out before we can make the trip but it’s on that bucket list to do in the next 5 years. i have always been really overwhelmed about the prospect of this but honest to god i feel like we could do it after reading this! hotels where you can get ON the monorail? coolest! i have not been there since i was 4 years old. 4.
could i say honest to god more? i am so freaking tired. Great post! So incredibly helpful! A lot of tidbits I didn’t know about here! Thanks so much for sharing. You rock lady! i can vouch for staying at the HoJo – its a bit of a walk, but its nice to have a buffer between disney insanity and resting time/place. also they have a water park which looks pretty cool for summer visitors! when we go we have breakfast, walk to the park (walking in is pretty thrilling, even for me, so its not like i have to drag the kiddo along for the 5 minute wander) stay in the park until about 3 or 4pm and then head back for some decompressing time. we have dinner and then go back for fireworks or the world of color show at california adventure (WORTH IT!). I really loved these tips, especially “autograph mania”. I don’t have children yet, but I look forward to taking them to Disney and doing with them what my mom did with me: I’d get an autograph from, say, Mickey, and then spend some time in the next long line we stood in coloring my own picture of Mickey. I still have that autograph book; the pictures I drew are pretty cute (I was maybe 4yo) and I’m sure it was a great way to keep me occupied during the boring bits! Thanks again for the great list. 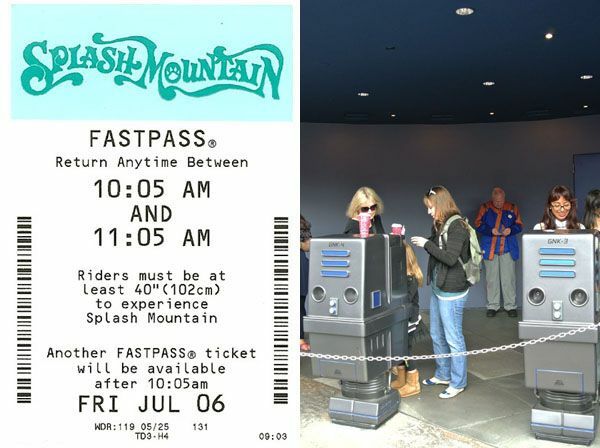 The FastPass rules have changed in 2013 – you can only use it during that 1 hour window printed on it!